CP-140 Aurora revamp project to extend aircraft life beyond 2025. IMP Aerospace announced it has begun life-extension modifications of ten Canadian CP-140 Aurora Aircraft to have their outer wings, lower centre wing and the horizontal stabilizers replaced with new structural components supplied by Lockheed Martin Aeronautics Company for the Canadian Department of National Defence. The program, known as the Aurora Service Life Extension Project (ASLEP), is intended to extend the CP-140 Aurora structural life beyond 2025. The multi-million-dollar program will employ a team of approximately 100 personnel distributed between IMP Aerospace, Halifax Stanfield International Airport; IMP Aerospace Avionics, Hammonds Plains; and IMP Aerospace Components, Amherst. IMP Aerospace, based in Halifax, Nova Scotia, employs 1,800 people and is a wholly-owned division of IMP Group International Inc., providing a wide spectrum of engineering and manufacturing services to the global aerospace industry. 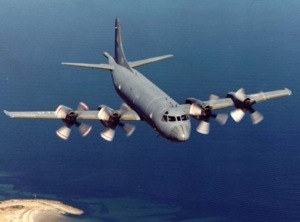 Design initially for anti-submarine missions, the CP-140 Aurora is also capable of maritime surveillance, counter-drug and search-and-rescue missions. The CP-140 is Canada’s only strategic Intelligence Surveillance and Reconnaissance (ISR) aircraft, conducting long-range missions over land, water and littoral areas.